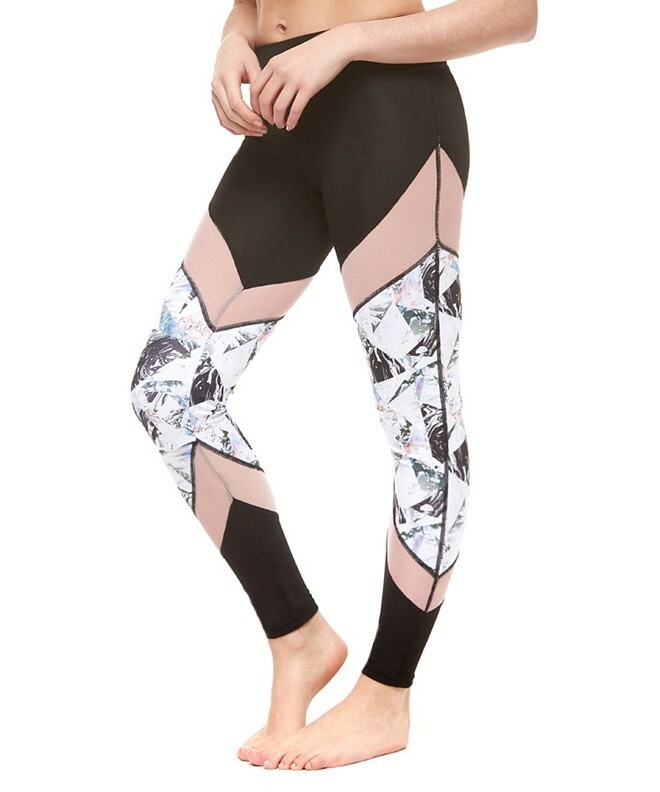 Get your gym fix in our shard printed mesh panel fitness leggings. Featuring black & rose, mesh detail and shard printed panels. Matching fitness cropped top also available or why not mix and match? Size guide: XS = UK 8, S = UK 10, M = UK 12, L = UK 14.